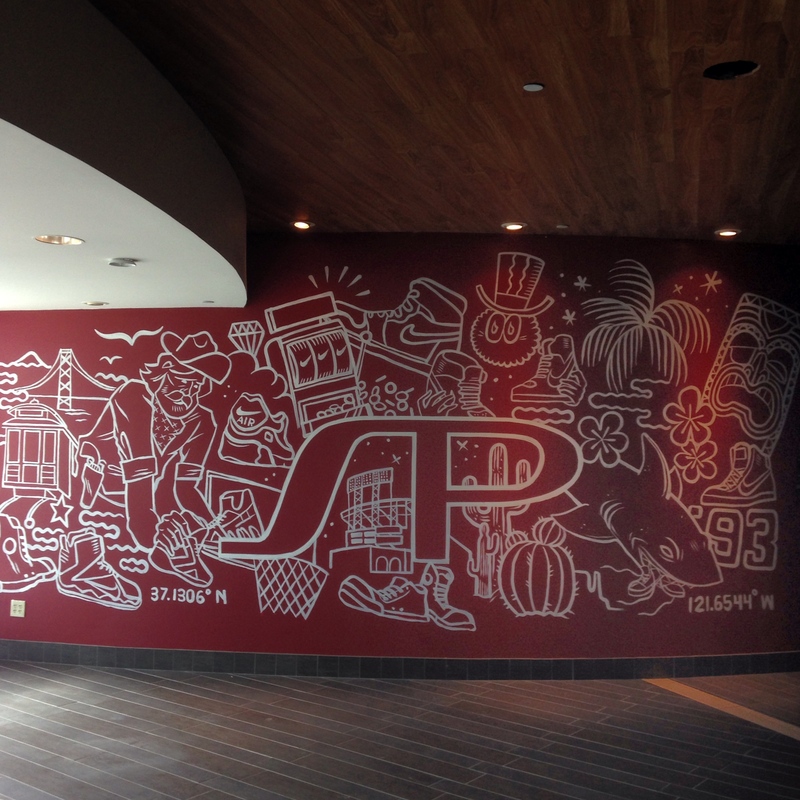 I was invited to paint a monster mural in the lobby of the Shoe Palace headquarters in San Jose, CA. The doodles around the logo reference the company’s rich history and locations throughout the country. Las Vegas and Hawaii locations are particularly easy to notice. I really like the little top hat dude at the top, the logo for the San Jose Flea Market, the first place the family behind Shoe Palace sold shoes. Thanks to The Stndrd for the connection.